Sitting on the knoll above the barn, I watched the cow in the enclosure below. She was limping around nipping purple flowers from the clover. I swiped at the tears streaming down my face at the obvious pain the old mama was enduring in her hip. It was swollen and the bone protruded grotesquely. I’d been caring for the animal for several days now. Her milk was running, signaling she was ready to give birth. Her burgeoning belly warned the calf was a large one. Shuddering, I thought of her bearing yet more agony than she was already experiencing in her arthritic joints. I worried if she’d have the strength to deliver. There was nothing more to do but wait and my helplessness angered me. Hasn’t this poor creature suffered enough? I cried out to whatever Power had control of these affairs. It’s up to You to do something! I implored. If You care for a fallen sparrow, why aren’t You helping this poor cow? She’s a good girl; too gentle, to bear this any longer. No answer came and finally in full darkness I trudged, dejected, to the house. City bred, the country ways were often difficult for me. Hours later I woke up with a start, an unexplainable fear stuck in my throat. I jumped up and grabbed my jeans, struggling into them while running to the door. It was just pre-dawn and the cool grass was dew wet under my feet. Backtracking, I grabbed my barn boots from the porch.At the barn, I fumbled for the light and nearly fainted at what I saw. There, on the piled hay, the old heifer lay panting, the spot beneath her turning crimson. I remember gasping, My God! as I dropped to my knees beside the heaving cow. Then I saw it. Oh, God, the baby! It’s going to suffocate! I jumped up and yelled out the door. Jerry! Somebody! Help me! Frantic, I rushed back to the heifer’s side, terrified at what was happening. The calf, a large one, indeed, seemed to be lodged in the birth canal. All that was visible were its head, shoulders, and one leg. Then some Force took me over. I ripped the membrane from the baby’s face, furiously wiping the mucous from its nostrils. Oh, God, it isn’t breathing! Jerry! I wailed again. Stumbling, I threw myself on the cow’s bulging sides and pushed as hard as I could. The baby didn’t move and the old mama groaned in agony. I’ve got to get it out! Somehow . . . oh God, help me, please! Jerry! God! Why isn’t he coming? I grabbed the baby’s head and pulled, pulled with every ounce of my strength, but the calf didn’t budge. Positioning myself with my feet against the old cow’s rump, I hugged the baby’s shoulders and pulled again. My screams for help were barely audible raspings now. I was hysterical. No one was coming and the baby wasn’t moving! Then in horror, I saw that the old cow’s sides were no longer heaving. 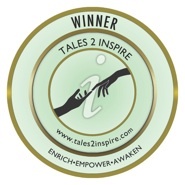 Posted on February 5, 2013, in Tales2Inspire, Tales2Inspire Contest, TALES2INSPIRE WRTERS CONTEST and tagged "authors helping authors project", "authors helping authors", "building an authors platform", "inspirational stories", author, Lois W. Stern. Bookmark the permalink. Leave a comment.